ASH WEDNSDAY MARCH 6 Ecumenical service at Calvary UMC at 12:00pm with Calvary, Good Samaritan and Messiah. 7:00pm Ash Wednesday worship at Messiah with Good Samaritan. Distribution of ashes and communion during service. 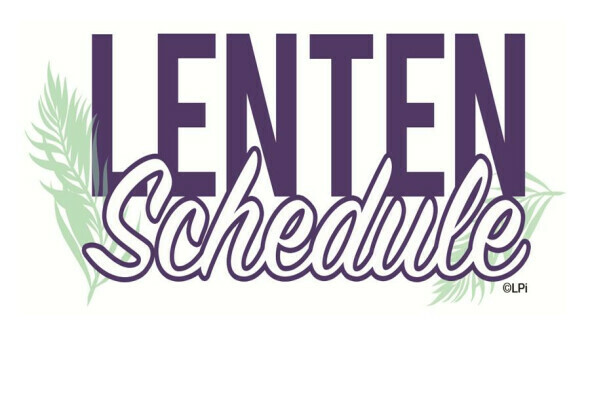 MIDWEEK LENTEN DINNERS AT 5:30PM & WORSHIP SERVICES AT 6:00PM  Wednesday, March 13 Fellowship Board will provide soups followed by worship.  Wednesday, March 20 Stewardship & Property Boards will provide sandwiches and pasta followed by worship.  Wednesday, March 27 Spiritual Life & Social Ministry Boards will provide a potato bar followed by worship.  Wednesday, April 3 Worship & Music Board will provide chicken casserole followed by worship.  Wednesday, April 10 Christian Ed Board will provide lasagna followed by worship. ANYONE WHO NEEDS A RIDE TO THE MID - WEEK SERVICES CONTACT TRACEY IN THE CHURCH OFFICE AT 317 - 852 - 2988.